The Monkees watched, as the rotor stopped moving, and the TARDIS powered down. They looked at the Doctor, who was grinning at them. "Welcome to the fifty first century, the year 5057, to be exact." The Monkees stared at each other in disbelief before they moved towards the front door. The Doctor winked at Rose, and fell in behind them. They opened the door and looked out. They were sitting in the middle of a verdant field. Far off in the distance, they could see a Romanesque type structure that resembled the Parthenon. The ivory walls glistened in the sunlight. The six friends stepped outside. Looking off to their left, they saw a gigantic coliseum, which had many smaller ivory buildings spread out around it. They could see people standing around the structures chatting with each other. "Where are we, Rome?" Mike asked. "No, we're in New Atlantis," the Doctor replied. "Atlantis? As in the lost continent of Atlantis?" Micky said. "Well, yes, but it's not lost anymore. It resurfaced in the thirty fifth century. Archaeologists studied it and determined that the original inhabitants had built structures much like the ones found in ancient Greece and Rome. The people who migrated here chose to build their homes in much the same way, and after sixteen hundred years; they have gone back to living as the ancients did, hence the togas. The people here are extremely enlightened, even more so than the rest of the Earth, and the rest of the Earth is pretty enlightened at this moment in time. They have a love of many things here, particularly history, arts, and music. This is why the Atlanteans have decided to host the music festival. They are inviting the best and the brightest from all across the known universe to participate, which is why I brought you. I believe this is the place where your music can truly be appreciated. In two days time, the festival will start, and I want you to be on the bill." "And…you'll be playing in there." He pointed at the huge coliseum. The Monkees stared at it in disbelief, then let out a whoop and jumped around, hugging each other. "Oh my God, this has to be a dream," Mickey said. "I can't believe we're standing on the lost continent of Atlantis, and we're gonna play inside a Roman coliseum for aliens. This is too good to be true." "Okay, guys, listen up. We need to really practice these next two days," Mike said. "If there's gonna be people from all over the universe, we gotta really be on the ball if we're gonna impress these people. Especially if they're as enlightened as the Doctor claims." "Aw, I wouldn't worry about that. I wouldn't have offered to take you here if you weren't at the top of your game," the Doctor said, waving his hand dismissively. "Trust me, they'll be more than impressed with you guys." Peter walked up to him. "This is so cool, Doctor. How can we ever thank you and Rose?" "Just play your hearts out and knock their socks off. That'll be thanks enough," he replied. "Well, enough milling around, ooing and aahing. Let's go get you guys signed up and take a look around the town, shall we?" "Do you know where to go to sign in?" Davy asked the Doctor, as they walked through the town. "Not exactly, but I assume it'll be somewhere around the coliseum. If not, we can ask and find out," the Doctor said, shrugging. Micky looked around at the Atlanteans. They gave them odd looks when they passed by, but no one said anything to them. Micky shook his head. "Geez, with all these togas, I suddenly feel overdressed," he said, to Mike. "Maybe we should dress like they do while we're here." "Heh, you can, shotgun. I'm not in the mood to go walking around wearing a bed sheet." "Why not, I wear a tablecloth, you know," Micky teased. "Well, that's cause you're odd one of the bunch." "You take that back, you dirty rat!" he said, doing his Cagney impression. "Good one, Mike, you got him to use his Cagney voice," Davy said. "Now, he'll be speaking like that all bloody day." "Eeeeeh, you dirty rat, you murdered my brother, you dirty rat!" "I'm warnin' ya, here and now. If you don't lay off the Cagney, I will take you back to the TARDIS, pry open your mouth, and shove the neck of my guitar down your throat. Then, maybe that'll shut ya up." "Alright, geez, I'll stop then." "Good, I'm glad you see reason," Mike replied. "Geez, some people have no sense of humor," he muttered. "So," Peter said, as he and Rose walked along behind the others. "How long have you been traveling with the Doctor?" "About a year and a half now," she replied. "Yeah, it's the best. The Doctor is awesome. He's the best thing that ever happened to me," she said. "I feel that way about the band. I was born in Connecticut and growing up, I always knew I wanted to be a musician, but no one supported me until I moved up to Greenwich Village after high school. Then, I found people who accepted me and my dreams of being a musician." "My family was the same way. I love my mum to bits, but she never had much money, and we always had to struggle to get by. All she wanted for me was a good job, so I could move out of the council estates and have a nice life. But, you know, I always thought there was something more for me out there, and it wasn't until I met the Doctor, that I realized that I had been right all along. The Doctor has shown me things I never believed possible, and shown me that I am more than just a shop girl. I never would have been the person I am today without him." "I'm glad he did that though. I haven't known you for very long, Rose, but I can tell you're a sweet, smart girl." "Awww, thanks, peter. You're a sweet, smart guy," Rose replied. "That's not what everyone else thinks." "No one thinks I'm smart," Peter said, bitterly. "I'm the dummy of the group. I'm always the dummy no matter what happens." Peter gestured to the rest of the Monkees. Rose glared at them. "Excuse me a moment, Peter," she muttered. She ran in front of everyone and held up her hands. Everyone stopped in their tracks. "Rose? What's going on?" the Doctor said. Rose put her hands on her hips. "How dare you call Peter a dummy! The man is anything, but!" she said, to the Monkees. "Who called Peter a dummy?" Rose jabbed her finger at the Monkees. "They do. Peter just told me they think of him as the dummy of the group!" The Doctor turned to look at them. Micky, Davy and Mike looked at each other and looked back at Peter who had a smug look on his face. "Is this true?" Rose said, walking up to Davy. "Um, we don't really mean it," he said, sheepishly. "Yeah, it's just an affectionate nickname for him," Micky added, nervously. "You wanna know something? I heard a lot of people referring to me as dim, growing up," Rose said. "People told me I would never amount to anything, and I believed them. 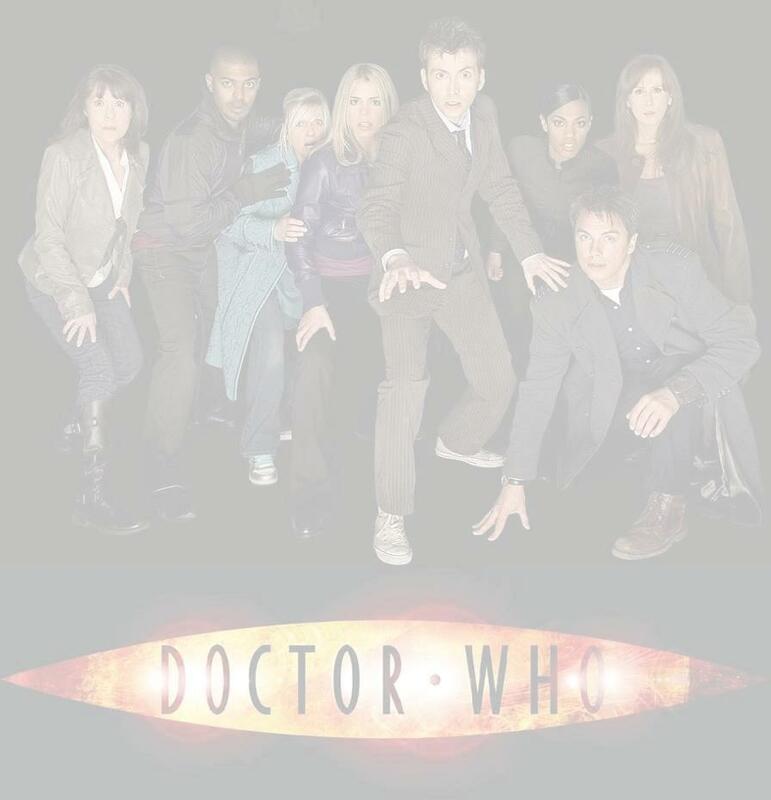 Then, I started traveling with the Doctor, and I saw myself differently. I've been talking to Peter all the way from the TARDIS, and the man is not a dummy. He's intelligent, and sweet, and sensitive, and I don't appreciate hearing that you call him stupid. So, listen up, BOYS, while you are with us, you are not to call him a dummy in any way, shape, or form, or I'll personally kick your butts right back to the twentieth century. You got that?" Peter snickered when the three Monkees nodded their heads quickly. Rose sighed and looked back at the Doctor. "I'm sorry, Doctor. I just had to defend Peter back there, since he seems to be outnumbered. You can keep walking now." She glared at the Monkees briefly before walking back to Peter. The Doctor raised his eyebrow. "If I were you, I'd really listen to her. Trust me, you don't want to be on her bad side," he said. "Well, come on, the coliseum is this way." Micky, Mike, and Davy looked at each other. Trying to ignore Peter's giggles, they followed behind the Doctor, while he led the way to the venue.